We are between Flower & Estes Street just West of Wadsworth Blvd and across the street from Southwest Plaza. Need directions? Click on the Google map icon noted as "directions" to enter your information. Phone numbers and links to individual businesses are located on the home page after you click on the business name. 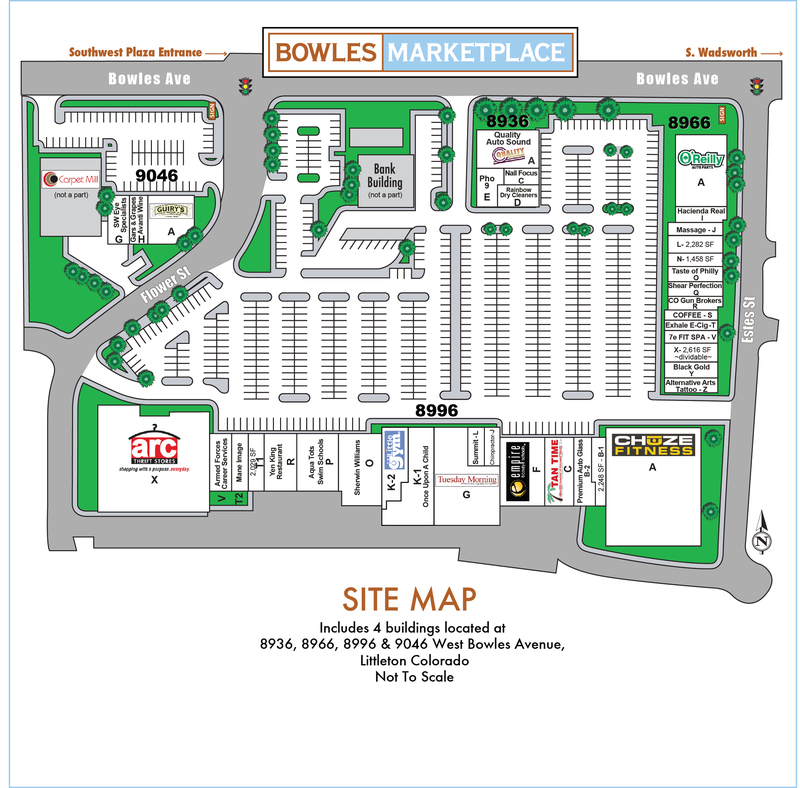 Explore the website & shop locally at Bowles Littleton Community Marketplace, like us on FaceBook and leave reviews on Google so we can reach more folks searching for our diverse offerings.